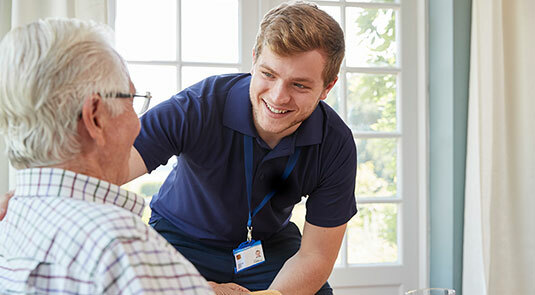 What Type of Home Care Do I Need? In Home Care 101, you learned about the three different types of home care: skilled care, personal care and companion care. Now it’s time to look for the signs that may mean it’s time for you or your loved one to start thinking about care to improve your quality of life, ensure your safety, and make sure you get to stay at home. Entry level home care; services are focused around your social needs or keeping the home safe and clean. Assistance with personal things like bathing or dressing that you want professional help with. Medical issues impact your day-to-day life, but you want to stay in the comfort of your home. The type of home care you need will depend largely on three core factors: 1) your home environment; 2) your mental and physical needs; and 3) your medical needs. To help you evaluate these critical elements, we’ve categorized a series of questions below to ask yourself about your or your loved one’s needs. 1. Is the house noticeably messy? 2. Do you eat a lot of frozen dinners due to ease of preparation? 3. Do you have trouble keeping up with basic maintenance like keeping the floors clean and doing laundry? 4. Is the pantry or fridge full of expired or spoiled foods? 5. Do you worry about driving and notice new dents or dings on your car that you aren’t sure where they came from? 1. Do you feel lonely and feel a need for more social interaction? 2. Have you recently fallen or noticed unexplained bruising? 3. Do you need assistance walking? 4. Do you have a hard time remembering where you left your keys or other important items? 5. Does getting ready in the morning feel like a difficult chore? 1. What medical conditions do you have that are impacting your day-to-day life? 2. Do you need reminders about medications, or do you need help administering them? 3. Have you recently had a medical procedure? 4. Have you recently had rapid weight gain or weight loss? 5. Are you making frequent, unexpected hospital visits? Sometimes, deciding what type of care you need isn’t as simple as answering a few questions. When you choose to work with our team, we get to know your needs through a free in-home assessment to determine the best course of action. We work closely with your current care team, including geriatric care managers, social workers, health care providers, elder law attorneys, financial practitioners and your family to create a custom care plan just for you. To schedule your free in-home assessment, give us a call on our 24-Hour Home Care Hotline at (888) 592-5855. How Do I Find the Right Caregiver? Once you have a good understanding of the help you or your loved one needs, it’s time to start thinking about who will be providing that help. After all, this is the person who you will be inviting into your home and spending time with. It’s important that they are the right fit. At Sonas, we know that making the perfect match is all about getting to know you! How Am I Matched With a Caregiver?